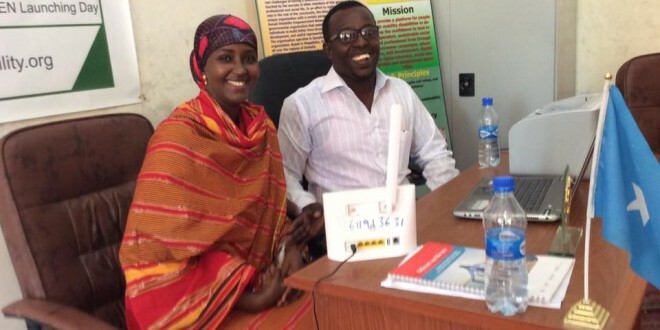 Mogadishu: 20/01/2016 Somalia’s first female presidential candidate Faduma Qasim Dayib arrived in Mogadishu for the first time since she announced her bid to run for the presidency in her country of origin. 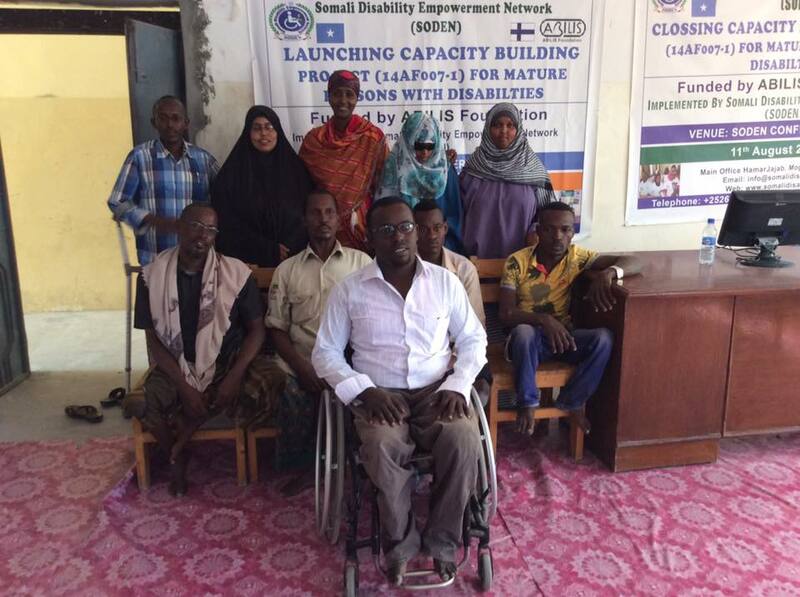 Mrs Dayib, who is a successful Finnish woman of Somali origin, paid a surprise visit to disability centre in Mogadishu’s where Somali Disability Empowerment Network (SODEN), an organization that advocates for the rights of people with special needs is stationed. 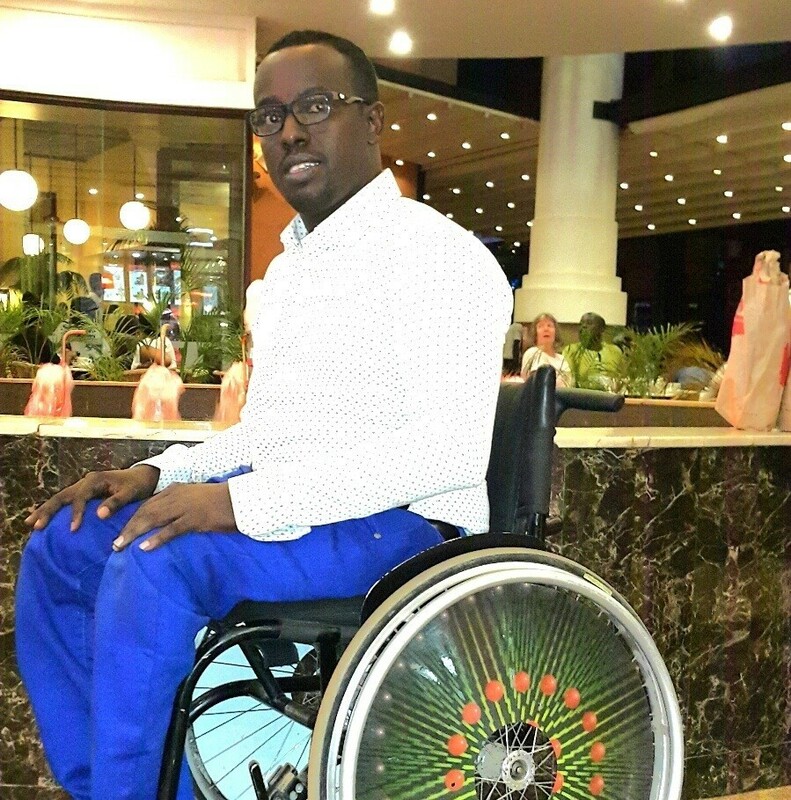 Mohamed Ali Farah, Director of SODEN, welcomed her at his office and gave detailed information about the plight of disabled community in the country and SODEN’s work on accessibility campaign that yielded results as well as giving capacity building programs to the people with disabilities. He thanked her visit and urged to focus on paying visit to voiceless people in the country. “It is a privilege for me to welcome you today for your first visit to the country since you declared your intentions to contest for the presidency. 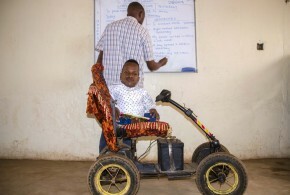 It gives us, as a disability advocacy organization, to work harder and continue determined more than ever to work for welfare of the disabled community.” Mohamed said, adding that her visit will also encourage others to follow suit. Meanwhile, Mrs. Dayib thanked Mohamed for welcoming her with open arms, although, she informed her visit on a short notice. 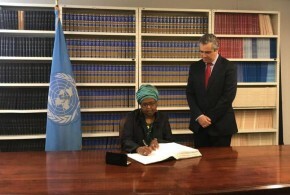 She commended SODEN’s advocacy work, encouraging them to re-double their efforts in educating the public about accessibility campaign that is currently underway. 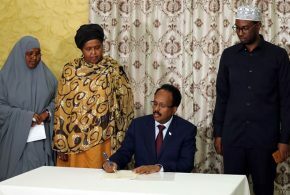 Faduma Dayib, who is aspiring to become Somalia’s first female president, escaped the country’s civil war back in 1990s and relocated to Finland where she started a new life. 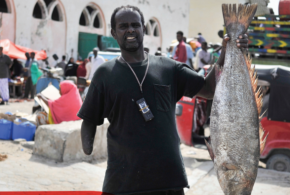 Her return to Mogadishu and her to visit vulnerable people like disabled community deserves recognition and praise, giving a glimmer hope to many of people in Somalia. 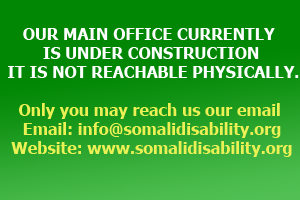 Somali Disability Empowerment Network SODEN.